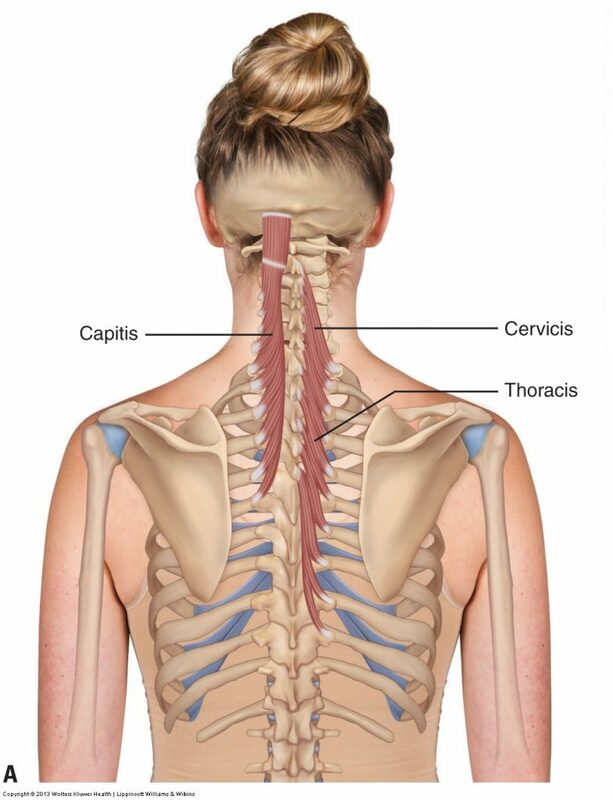 All three subgroups attach from transverse processes inferiorly to spinous processes superiorly, from C2-C7. The semispinalis (capitis portion) also attaches to the occiput between the superior and inferior nuchal lines. The transversospinalis group musculature lies within the laminar groove of the spine. The rotatores attach from transverse process attachments to spinous process attachments one to two levels superior to the inferior attachment. The multifidi attach from transverse process attachments to spinous process attachments three to four levels superior to the inferior attachment. The semispinalis attaches from transverse process attachments to spinous process attachments five or more levels superior to the inferior attachment. Note: The multifidus in the low back attaches from the sacrum and PSIS and the mammillary processes of the lumbar spine to the spinous processes of vertebral segments three to four levels superior to the inferior attachment. 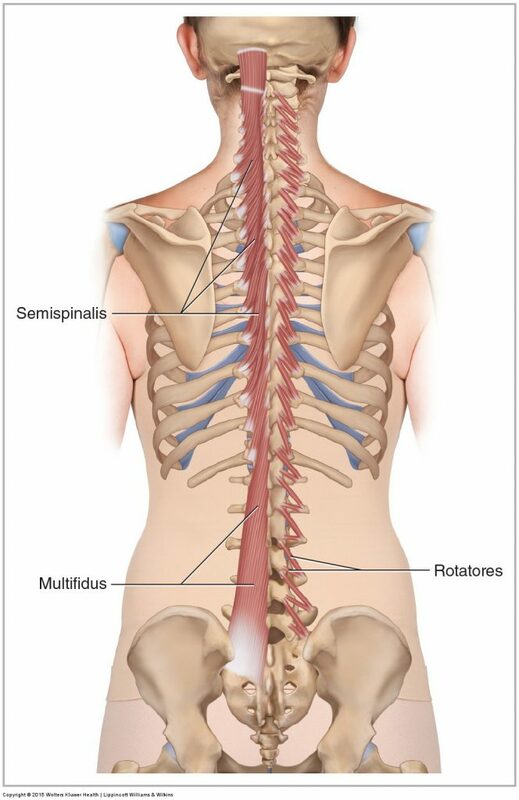 As a group, the transversospinalis group extends, laterally flexes, and contralaterally rotates the neck at the spinal joints; it extends and laterally flexes the head at the atlanto-occipital joint. The transversospinalis group also anteriorly tilts and ipsilaterally rotates the pelvis and elevates the same-side pelvis at the lumbosacral joint. 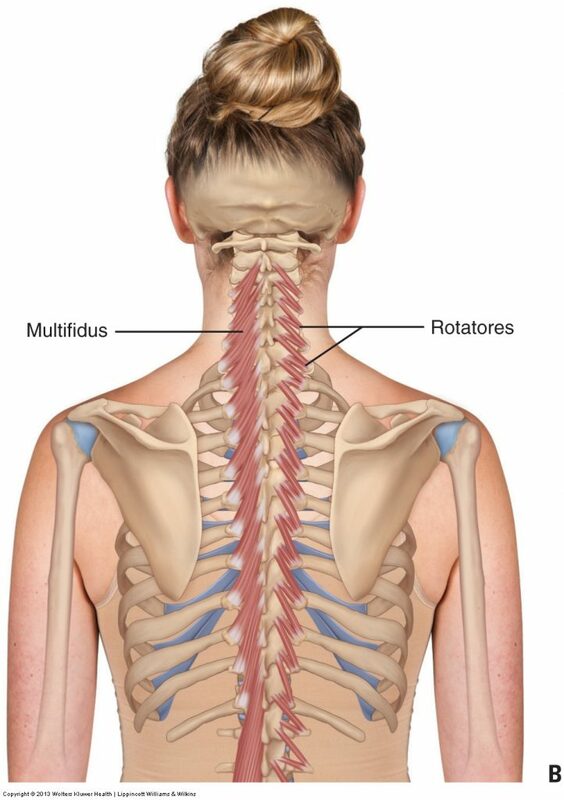 The multifidus is the largest muscle in the posterior low back. The semispinalis is the largest muscle in the posterior neck.